VLC is an open-ended free media player which gains much popularity among users as its highly customizable feature, excellent file format support, and expandable plug-ins. With VLC installed on desktop, you do not need to worry that your Windows or Mac machine does not support the file format you opened. Of course, it’s a excellent music player which can play not only the main audio format we use often nowadays like MP3, AAC, FLAC, WAV, but also most of the long-forgotten audio formats. Since VLC is such a powerful media player, can we play the downloaded Spotify music on VLC directly? Unfortunately, Spotify music is DRM-protected and VLC doesn’t support this encrypted audio playback, but there is a way exists to help you play Spotify music on VLC Media Player. Whether you are a premium user who have a large music library on Spotify, or a free user who can listen to Spotify music for free online, you may wonder how to import Spotify music to VLC for offline playback whenever you want, or when Spotify Music app uninstalled from your machine. 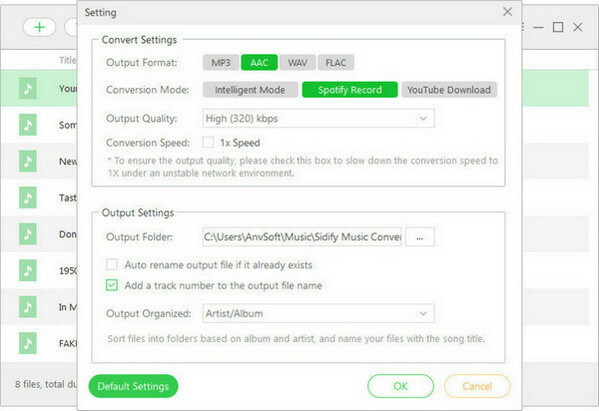 An easy approach to do this is to convert Spotify music to audio formats supported by VLC, such as MP3, WAV, FLAC etc. 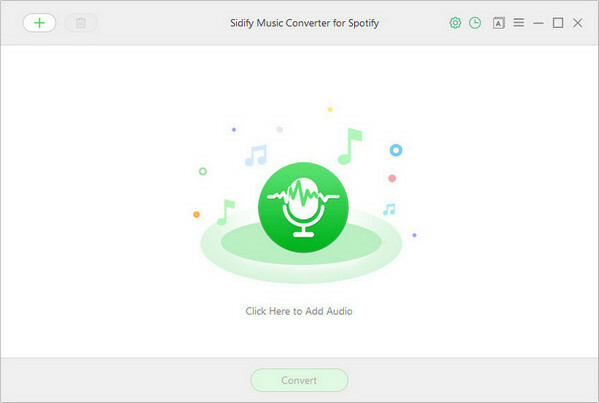 Luckily, Sidify Music Converter for Spotify is specially designed here for converting Spotify music to plain formats including MP3, AAC, WAV, FLAC , at the same time, 100 original audio quality and all ID3 tags will be preserved. 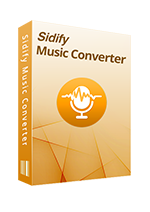 Because the audio formats including MP3, AAC, WAV, and FLAC are all perfectly supported by VLC Media Player, you can choose any one of them on Sidify Music Converter for Spotify to convert your Spotify playlists. Step 1: Run Sidify Music Converter. 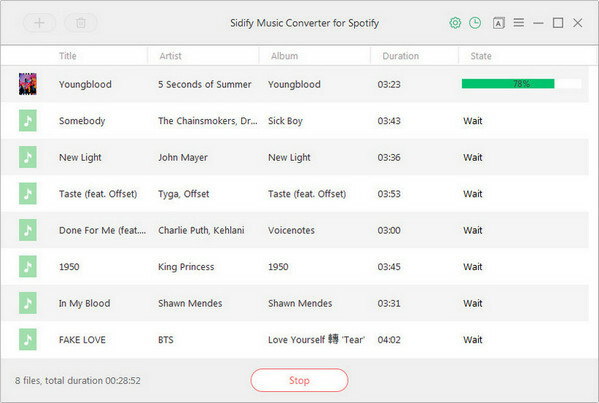 Download and install Sidify Music Converter for Spotify on computer according to its OS, then launch it and Spotify Music app will be launched automatically. 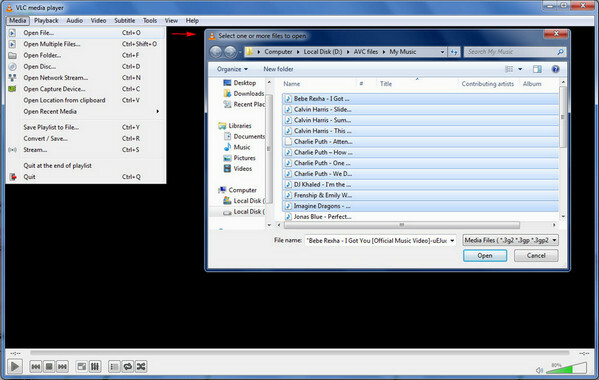 Step 2: Add Spotify Music to Sidify Music Converter. 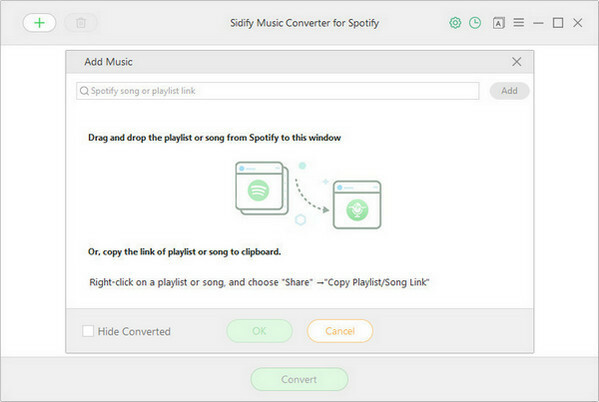 Go to Spotify Music app and search for the music or playlists you want to convert with Sidify, then right-click it and click "Share" to copy the music URLs. Then you can click button or "Click Here to Add Audio" on Sidify Music Converter to paste the music URLs. Or you can Drag & drop a song or a playlist from Spotify. Then click "OK" to finish adding Spotify music. Step 3: Customize the Output Settings. After Sidify Music Converter finishes analyzing the music URLs you added, you can click button to choose output format, output quality and conversion mode. In order to help you organize the music library after finishing downloading, Sidify program supports saving the output audio into Artist, Album, Artist/Album or Album/Artist folder for meeting various users needs. Now, you can click "Convert" button to start converting Spotify music you added and click button to find the converted Spotify music after the conversion process completed. Now, you can run VLC Media Player on your computer and click "Open File" or "Open Folder" to add the converted Spotify Music.